Our medical teams have made frequent visits to Albania since 1992. 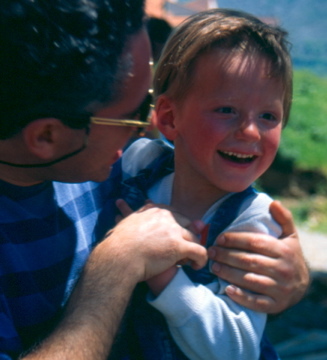 In 1995, a British Paediatrician was asked to assess the healthcare needs of the residents of the Korce Home – a small institution for children with learning and physical disabilities. One of the children was discovered to have a congenital condition of the hip. It was found that this could be improved by surgical intervention, which he had surgery in the UK and in Tirana, Albania. The second operation was carried out by a joint UK/Albanian team. The UK orthopaedic team, from Great Ormond Street Hospital in London, shared their expertise with the Albanian surgeons, anaesthetists and nurses. Consequently, many Albanian children have benefitted from this sharing of knowledge.